When it was announced a few weeks ago that the Cleveland Indians had signed infielder Jose Ramirez to a five-year contract extension, I couldn’t help but think about his status on the team now compared to what it was in 2015. There was a time when Ramirez was simply a utility player, someone the Tribe would play occasionally and hardly considered a core member of the team. At one point, the young Dominican was simply in the way, holding the fort at shortstop until then-prospect Francisco Lindor was ready to make his big league debut. In the time between then and now, the concept of giving Ramirez an extension has gone from laughable to absolutely necessary. Going even further, based on how he’s performed since the ink dried on his new contract, the Indians are looking brilliant for re-upping him when they did. Though the 2017 season is still young, Ramirez is already standing out as one of the best players on Cleveland’s roster. He currently leads the team in batting average, home runs, RBIs and OBP. Additionally, he’s proven more than capable of managing second base while All-Star Jason Kipnis heals from a shoulder injury. As you can see, any concerns of Ramirez’s 2016 season being a mirage are – for the time being – alleviated. Provided he continues hitting at the torrid pace he’s currently on, he could potentially top last year’s breakout campaign. If this indeed takes place, it’ll be difficult to hold back the praise for Cleveland’s front office. The team has basically locked up a player who’s been hitting .300 or above since the start of 2016 for $26 million across five years. Consider what Ramirez would’ve commanded had the Indians waited on his extension. If his 2017 ends up on par or better than last season, he would’ve had every right to significantly drive up his price tag. 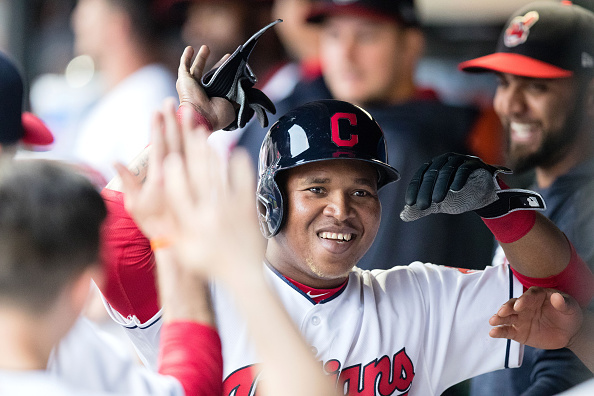 Despite their signing slugger Edwin Encarnacion last offseason, the Indians are not your typical big-money team and therefore might not have been able to afford keeping Ramirez. Instead, they locked him up at the first chance they could get. Of course, such a move was definitely risky. Ramirez struggled mightily in early 2015 with Lindor breathing down his back. He bounced back when called up later in the same season, but certainly not at a rate which made his 2016 performance unsurprising. Speaking of which, you wouldn’t have faulted the Indians if they had decided to take a wait-and-see approach with Ramirez. Sure, his finishing last year with a .312 average and standing out as one of the most clutch hitters in the majors was quite an accomplishment. At the same time, it was the first full season of Ramirez’s career. Cleveland would’ve had every right to hold out and let him prove whether or not he was a one-hit-wonder. So far, this certainly doesn’t appear to be the case. Ramirez is back to his slugging ways, still looking like one of the most talented hitters in the lineup. He’ll obviously have to continue playing this well before we can make any official judgments. Still, at the moment the Indians definitely look like they made the right call here.